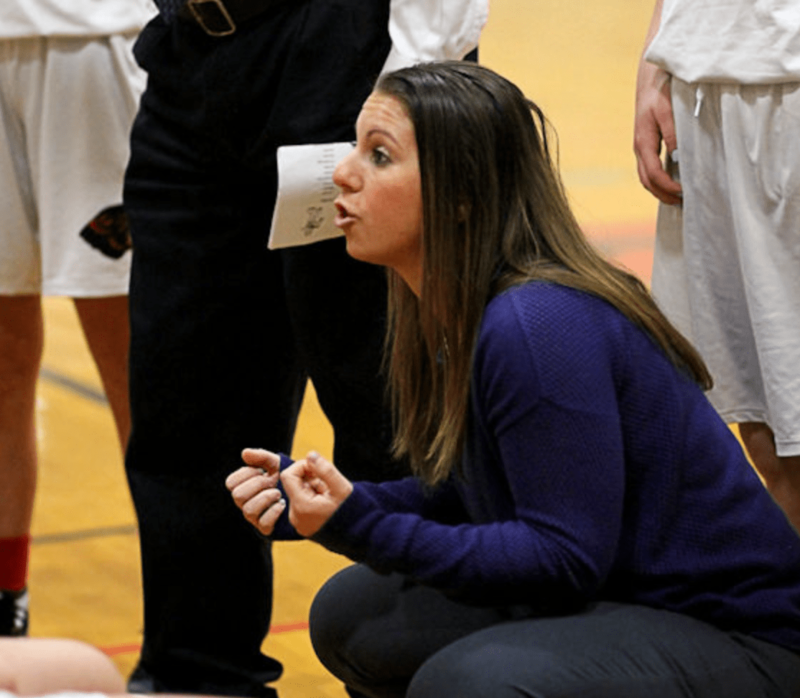 The Panthers return a lot from a team that posted an eight-year best 13-9 record last winter, as head coach Jenna Olem begins her sixth season at the helm. For the Whitman-Hanson Regional High girls’ basketball team, the pieces to the puzzle are there, now it’s just about connecting them. “It has a been a four-year process of them all coming together for this year particularly,” said sixth-year head coach Jenna Olem. The Panthers return all but three players from last winter’s roster that led the program to an eight-year best 13-9 record. Almost all the seniors have been with Olem since at least their sophomore seasons, while the returning three juniors and two sophomores received significant playing time last season. The core showed signs of greatness, displayed by their 7-0 start last season, but stumbled down the stretch, going just 6-9 the rest of the way. Olem said she believes this season’s team is more prone to halt a slide like that. Senior two-year captains and Patriot League All-Stars Kathryn Dunn and Erin Leahy will lead the way once again this winter. Dunn led the team in nearly every statistical category last season, including points (11.3), assists (1.9) and steals (1.8). Her 5.7 rebounds per game, ranked second. Dunn will be used mostly as a stretch four to open up the court. After being used mainly down low last season, Leahy will slide back into the point guard role, where she was as a sophomore. Sophomore Reese Codero (4.1 PPG last season) will start at the two guard, joining Dunn and Leahy in the starting lineup. Junior Brittany Gacicia and senior Meg Henaghan are the front-runners to round out the starting lineup at small forward and center, respectively. However, Olem said she doesn’t read too much into who takes the court for the opening tip. Olem said that when the 6-foot-2 Henaghan is on the court, she’ll look to her to provide a steady presence down low, due to the team’s lack ofheight elsewhere. With Henaghan providing the Panthers with just about their only size down low, as opposed to last season when senior captains Halle Julian and Alyssa Nicholson clogged up the paint, Olem said their offensive philosophy will differ. However, their aggression on defense, set and embodied by senior Olivia Johnson, will not change. Olem noted she was pleasantly surprised to see the improvement of both junior Hannah Damon and sophomore Rylie Harlow, while she’s excited to see what junior Olivia Martin will bring to the offense this season. The Panthers begin their campaign Tuesday, Dec. 11 at 6:30 p.m. on the road against Patriot League foe Quincy. The Whitman-Hanson Regional High girls’ basketball team will be lead by a pair of senior and junior captains this season. With a number of key pieces back in the fold, the Whitman-Hanson Regional High girls’ basketball team is looking to build off its success from last season. It was a season in which the Panthers boasted 11 wins, their most in five years, and cracked the tournament for the first time since the 2013-14 campaign. However, W-H will have its hands full trying to fill the shoes of four integral pieces from that run in three-year starter and two-year captain Taylor McVeigh, three-year starters and 201617 captains, Sophie O’Brien and Sarah Saccardo, and spot-starter Chloe Roberts, all of whom have graduated. But there will be no dwelling on what has been lost, as W-H seems to be in good hands going forward. Captaining this season’s club are juniors Kathryn Dunn and Erin Leahy, and seniors Halle Julian and Alyssa Nicholson. Dunn, who moved into the starting lineup about a quarter of the way through last season, brings a lot to the table on both ends of the floor. Leahy pumped in 7.3 points per game, snatched 6.4 rebounds per game and dished out 2.6 assists per game in 17 contests as a starter last season before going down with a torn ACL in early February. She initially wasn’t expected to be back until midseason, but looks good to go, which is a breath of fresh air for the Panthers. As for Julian and Nicholson, this will be their first season inserted into the starting lineup, and both are expected to contribute big minutes down low. “Halle [Julian], again, has incredible quickness and athleticism for someone her size,” Olem said. “She is a natural shot blocker and great rebounder. As Olem adjusts to her new lineup, she has made a change in the Panthers’ offensive game plan. Over the past couple of seasons a major part of W-H’s offense has been predicated on pounding the ball into the post, which is something the team will be trying to stray from. However, something that will not be changing is what W-H prides itself on the most, and that is being a defensiveminded team. Last season the Panthers had the ability to suffocate opposing offenses on any given night, as they allowed just a tick over 43 points per contest, and Olem said she absolutely expects the same level of play on the defensive end of the floor this winter. 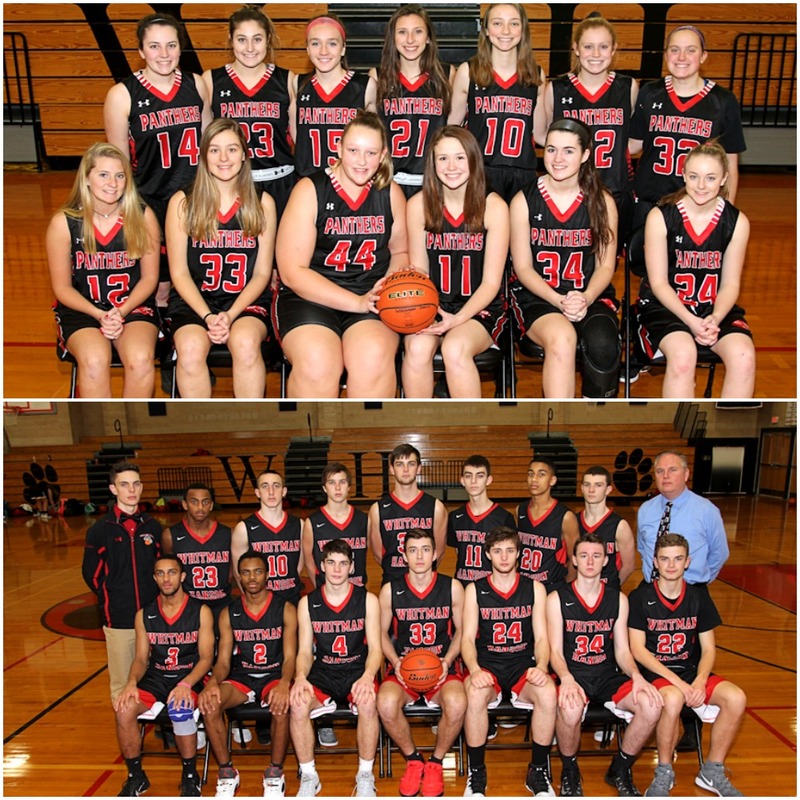 W-H will open the season on Tuesday, Dec. 12 at 6:30 p.m. with a home game against Bridgewater-Raynham. “While we suffered a heartbreaking loss in the first round of the tournament and it was the end of the seniors great run they put together, I honestly think we are set up for long-term success with the young kids we have in the program that are not only great athletes, but have a lot of basketball experience and high playing IQ,” Olem said. The Panthers dropped to 2-3 on the season with a loss to Westwood. HINHGAM – A late Panthers charge was not enough Friday evening as the Whitman-Hanson Regional High girls’ basketball team fell to Westwood 47-40 in the consolation game of the Hingham Holiday Hoops Classic. The Panthers hung with the Wolverines for a majority of the contest but a tough third quarter proved too much to overcome. W-H (2-3) found itself in a hole early on as Westwood opened the game on a 7-2 run, sparked by five points from senior captain Haley Connaughton, as the Wolverines knocked down three of their first seven shots from the field. The Panthers, despite nine turnovers in the quarter, clawed their way back to tie the game at 10-10 at the end of the first quarter. Westwood (5-1), which connected on four of its first seven field goals to begin the second, started to ramp up the defensive pressure on the Panthers — limiting them to eight points in the quarter — and took a 23-18 advantage into halftime. The Wolverines opened the third quarter on a 5-0 run to push their lead to double digits at 28-18. Back-to-back field goals extended the Wolverines, who missed a string of nine consecutive field goals in the quarter, lead even further as they held W-H to four points to extend their lead to 35-22 entering the final frame. Trailing 43-32 with 2:08 to go, things started to jell for the Panthers offense as they went on an 8-2 run — capped by Erin Leahy’s 3-pointer — to slice the Wolverines lead to 45-40 with nine ticks remaining. However, Westwood was able to successfully inbound the ball after the make and two makes from the charity stripe squashed the W-H comeback. McVeigh paced the Panther attack with 11 points as O’Brien chipped in nine. At the conclusion of the game, McVeigh and O’Brien were named to the All-Tournament Team. W-H returns to Patriot League action at 6:30 p.m. Friday, Jan. 6 at Plymouth North.